Licensed College Jewelry!! Lead & Nickel Free Sterling Silver Plated Fishhook Wire Earrings Suspend University Of Missouri Tigers Mascots On Hearts. 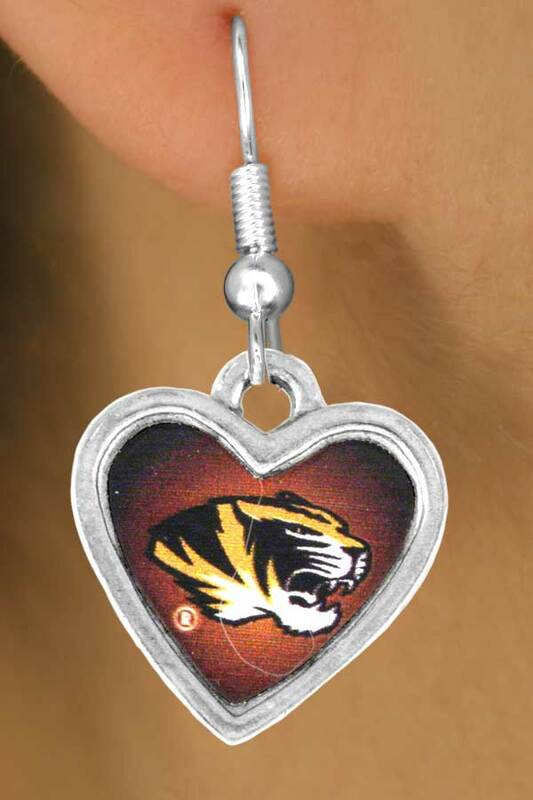 Scroll Down For More University Of Missouri "Mizzou Tigers" Items: W12952N, W12954B, W12955N, W12956E, W12957B, W13745N, W13748N, W13795SG, W13828SG, W14017KC, W14019KC, W14343N, W14344B, & W14345E!